Jessica was born and raised in Philadelphia, PA where she trusted Christ as her Lord and Savior at an early age. 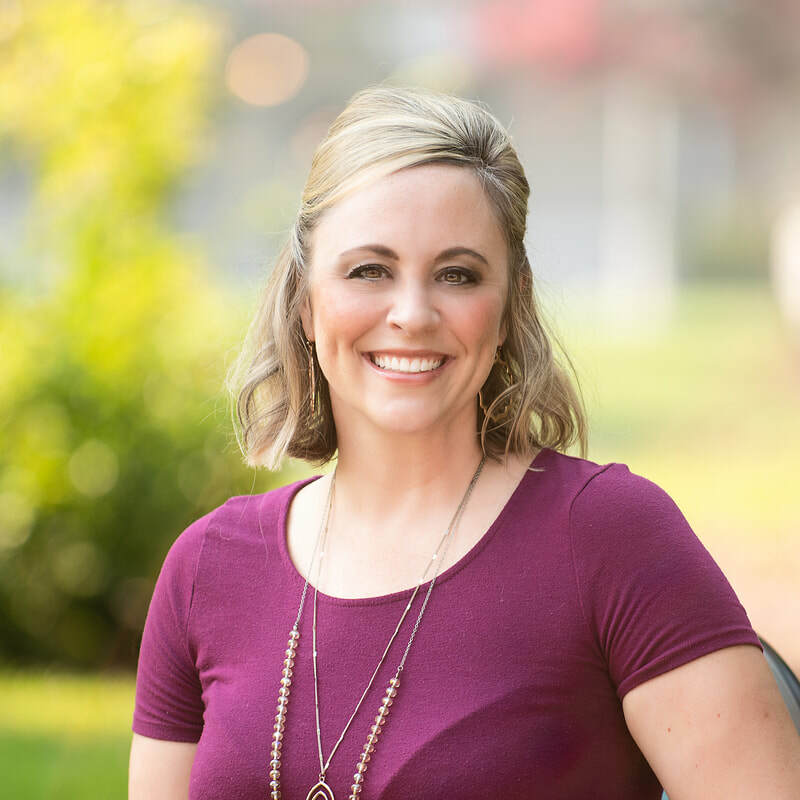 She later moved to Greenville, South Carolina to begin her journey as an educator because of her love for children and desire to make a difference in their lives through quality education. She earned a B.S. in Early Childhood Education from Bob Jones University, an M. Ed. in Administration and Supervision, and is a National Board-Certified Teacher. She taught preschool, kindergarten, and second grade for almost 11 years at Brushy Creek Elementary School in Greenville, SC. Jessica moved to Social Circle with her husband Tim in 2014 when he became an agent for State Farm Insurance and decided to open his agency there. At that time, she put her career on hold to support him and their growing family. Their daughters are Harper (6), Ryleigh (4), and Allie Grace (2). Jessica’s heart for Early Childhood Literacy led her to volunteer at the WH Stanton Memorial Library, where she started and has continued to lead the “Tales for Tots” program. She serves as a Board Trustee for the library and as a representative for the advisory board for Social Circle Christian School. She and her family are actively involved at First Baptist Church of Social Circle. Jessica has a passion for providing a Christ-centered, stimulating, and safe environment for students to thrive as they grow academically and spiritually. She is looking forward to the incredible joy of joining the SCCS family and working together to make Social Circle Christian School a premier place of learning and a lighthouse to our community. Lauren is a Georgia native raised in Roswell and currently resides in Rutledge with her husband Scottie McLendon and their daughter Leah. She became a member of First Baptist Church Social Circle through Baptism in November 2004 prior to graduating from the University of Georgia in December of 2004. There Lauren earned a Bachelor of Science Degree in Agriculture in Animal Science while riding and competing for the Women’s Varsity Equestrian Team. She hopes to help SCCS and its students to the best of her abilities with God’s grace and guidance. Brittany lived in Florida until the age of 13 when she moved to the Monroe area with her family. Married her husband Mark in 2003. They now have 3 beautiful children. She enjoys teaching the kids and working in a Godly atmosphere with other Christians. She loves crafting and spending time with her family. Marie has been a part of the Social Circle Christian School since 2012. She has assisted the school as PTO Chairman, forming Grandparents Club, the Teacher of the Year Program and other events. She recently moved to Newborn after living in Monroe for 22 years. Marie enjoys living the farm life with her husband Steve, son Brody and their numerous animals. She enjoys horseback riding, gardening, crafts ,collecting vintage Pyrex and antiques. Christy is married to Gary and they have two children, Olivia and Wyatt that attend school here. This will be her fourth year teaching at SCCS. She is excited to be here and looking forward to getting to know her students and their families! Leslie and her husband Cliff reside in Rutledge. They have a daughter, Lendon, who attends school here S.C.C.S. She is a University of Georgia graduate with a degree in Child and Family Development from the College of Family and Consumer Sciences. Leslie has sixteen years of teaching experience. She accepted Christ as her Lord and Savior at the age of nine and has been a member of First Baptist Social Circle since birth. Nan Roberson and her husband Randy have been married for twenty-eight years and have five children. Their youngest is twelve years old and attends school here at SCCS. After graduating from North Georgia College with a degree in Early Childhood Education, she taught Kindergarten at Dawson County Primary for six years. Nan and her husband were Children's Church Directors for four years at New Life Church in Dawsonville. She also homeschooled their children for sixteen years. Donna grew up in College Park, Georgia, where at the age of seven, she accepted Jesus Christ as her Savior. After high school, she attended Tennessee Temple University, where Donna received a B.S. degree in Elementary Education. After graduation she moved to Danville, Illinois to teach at First Baptist Christian School. She has taught for 33 years in three different Christian Schools. After her husband retired, he and Donna moved to Oxford, Georgia in 2010 to be close to family. They have two grown children and three grandchildren, all whom live in Oxford, Ga. Donna and her husband are active members of Philadelphia Baptist Church in Rutledge, Ga. She is excited to be able to join the staff here at Social Circle Christian School, where she can continue to share Jesus Christ with her students. Christi grew up going to church with her family, but she did not accept Christ as her Savior until she was 21 years old. She graduated from Berry College with a degree in Middle Grades Education. She has been teaching at SCCS since 2008. Although Christi has taught 2nd through 5th grades, 3rd and 4th grades are her favorite. Christi lives in Social Circle with her husband and children. Natalie, Lucas, and Maryann are all students at SCCS. Her favorite subjects to teach are Math and Bible. Christy Barnett lives in Monroe with her 13 year-old daughter, Andrea. She grew up in Indiana and attended Indiana State University, graduating with both a B.S. in Elementary Education and in English. She moved to Georgia in 2000, and began teaching. Christy has taught 2nd through 8th grades, as well as having done remediation and enrichment. This is her 12th year here at Social Circle Christian School and her 15th year teaching. When she is not teaching, or planning awesome things to do here at school, Ms. Barnett enjoys reading or scrapbooking. She has a huge library that she loves to share. She also really enjoys spending time with her family and friends, but because most of her family lives in other states, she doesn't get to spend as much time with them as she would like. Ms. Barnett looks forward to seeing previous student and is looking forward to meeting new ones this year. She states, "Once they are in my class, your children become my children!" Having been saved at an early age at Calvary Baptist Church in Covington, Jackie realizes the importance of teaching children a Biblical worldview. That means that everything they learn is viewed with faith in Jesus as a priority. Jackie has over 15 years of teaching experience which varies from Elementary School to College Math. She graduated from Tift College, a Georgia Baptist Women’s college, which is now part of Mercer University where she studied Math, Music, and Computer Science. She attended Southeastern Baptist Theological Seminary in Wake Forest, NC. While she enjoyed teaching math at Piedmont Technical College in Greenwood, SC and North Georgia Technical College in Blairsville, GA, her favorite students are her elementary students from Trinity Christian School in Sharpsburg, GA, Mountain Area Christian Academy in Morganton, GA, Athens Christian School in Athens, and of course, our own Social Circle Christian School. Jackie is married to Mike Hardy, FBCSC Pastor. They have two grown children. Their son Michael lives in Social Circle and their daughter Kara Lyn and her husband Michael Driskell, live in Blairsville. Mike and Jackie also have one granddaughter, Kayley Rae. In any free time, Jackie enjoys spending time with her family. Gina doesn’t remember a time when she wasn’t in church but she does vividly remember the day she gave her heart to her Savior, Jesus. She has been married 34 years to her high school sweetheart. They have three beautiful adult children, two son-in-laws and two precious grandchildren along with several furry four legged family members. They have always lived in or near Social Circle or Monroe. Gina is very active in their church, FBCSC. She enjoys leading women’s bible study, working with the youth and teaching Sunday School. She is thankful to be able to work in such a wonderful Christian environment. She thanks God for her job and the friends she has here. She is truly blessed beyond measure. "My cup runneth over".